Ya'll, today I turned 27 years old! Honestly, I have always felt like a 40 year old trapped in a twenty something's body, so every year that I get older, I feel a little bit more like myself. Is that totally strange? I've had the most pleasant day so far, working for a few hours in my new studio, followed by lunch with Amber of Perrodin Supply Company. Lucy tagged along, too! Now both kids are home and we are getting ready for dinner with my in-laws. Nathan's step-sister has the same birthday as me, so it will be quite the merry party! So in case you couldn't tell in the 1st picture, Gingiber posters are coming! 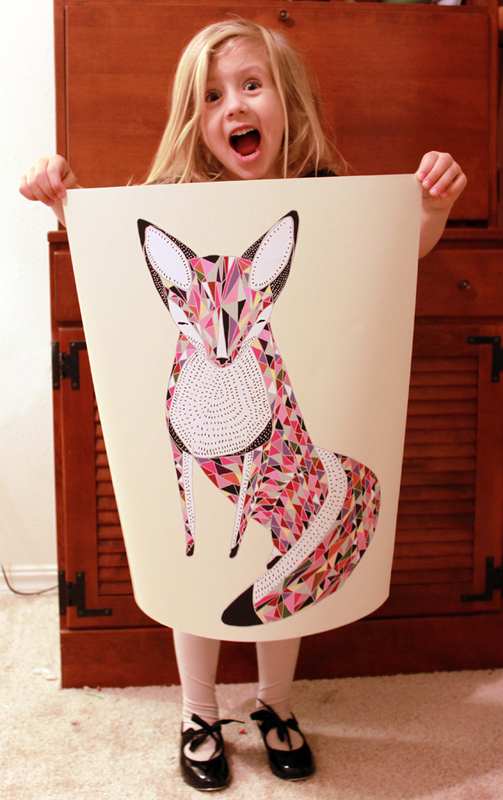 And Violet has already claimed this amazing Quilted Fox poster for her bedroom. She is mega pumped! 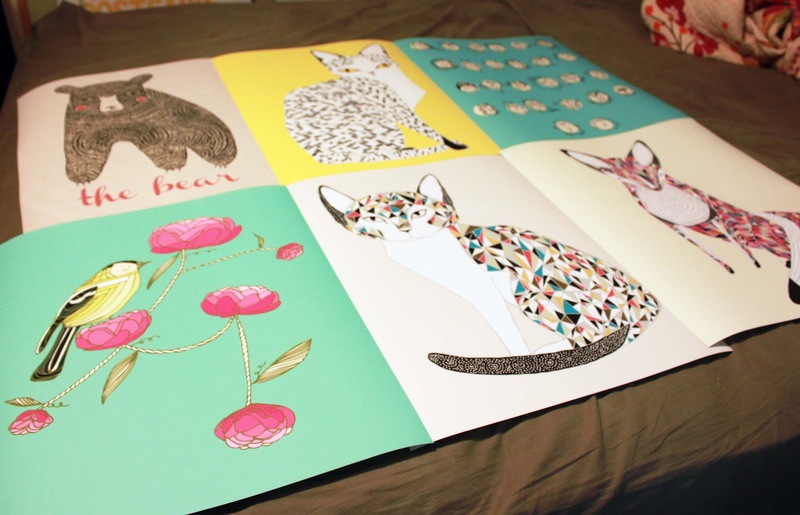 I am releasing the 6 best selling illustrations as 16x20 inch posters. They fit standard Ikea frames, and are really really high quality. Luscious colors. Thick, sturdy paper. Why didn't I release posters sooner? Are you excited about posters? Which of the 6 is your favorite?